OLD GERMAN .800 SILVER TABLESPOON ART NOUVEAU HERMAN JURGENS SELLER? c 1910? EXHAUST PIPE STRETCHER HYDRAULIC EXPANDER TAILPIPE 1 5/8 to 4 1/4 TOP SELLER!!! Trending at $276.99Trending price is based on prices over last 90 days. 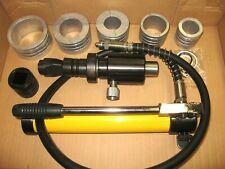 AIR HYDRAULIC EXHAUST PIPE EXPANDER STRETCHER 1 5/8" to 4 1/4" TOP SELLER! ! ! ! CMS Magnetics® SUPER STRONG N52 Neodymium Block Magnet 2"x1"x1/2" BEST SELLER! Bitmain ANTMINER Z9 MINI Overclockable BATCH 2 ASIC Miner *IN-HAND* USA Seller! This page was last updated: 19-Apr 02:14. Number of bids and bid amounts may be slightly out of date. See each listing for international shipping options and costs.